The number suddenly hit me today. 29! That means over 100 polishes (116 to be exact) Wow. Just about 400 left to go. Once again a little surprised here. I unfortunately smudged my index finger a little. I think it did really well on the white and the black. It shows up well and keeps its colour to some degree. It also stamped fairly well with straight clean lines (except my smudged index of course). I like it. I wasn’t expecting too much from Jungle to be honest. Even though it is a dam colour it isn’t super opaque. Well, just look at that. It is barely visible on the black. It is there but barely. You can just see it on the index. On the white though, it looks really good. It’s not perfect but it did exceed my expectations. It’s one I might consider if I need a dark green ish shade. This little precious has been much talked about lately. In every polish group that I am I have seen people talking about Pacific blue being changed and is now a different colour. Considering how well it stamps, yup I am sad too. Not only is it a gorgeous colour but just look at that. It showed up pretty well on the black and the white and stamped pretty decently too. I’m pretty darn impressed. I actually love it. 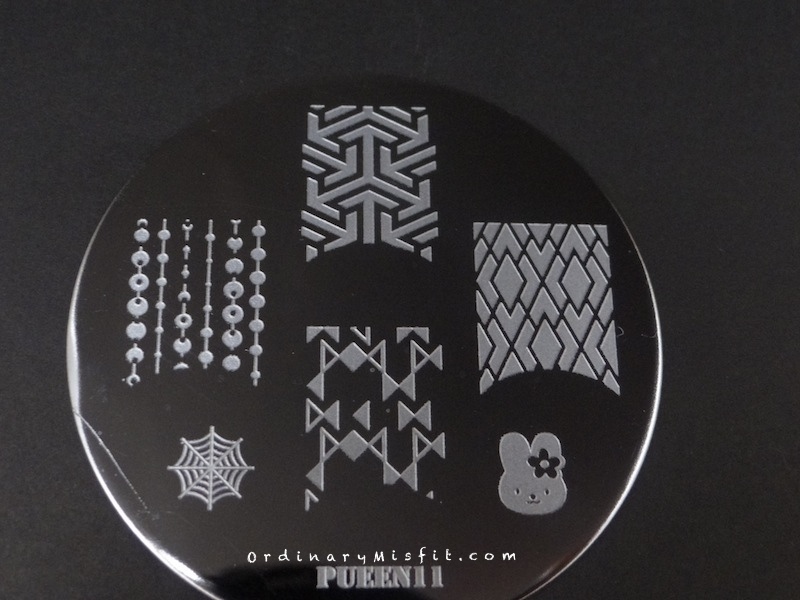 It might not be the most perfect stamping but it is definitely one I would use again. Where do you get your Pueen goidies? Locally? I smaak that OPI jong!!! !